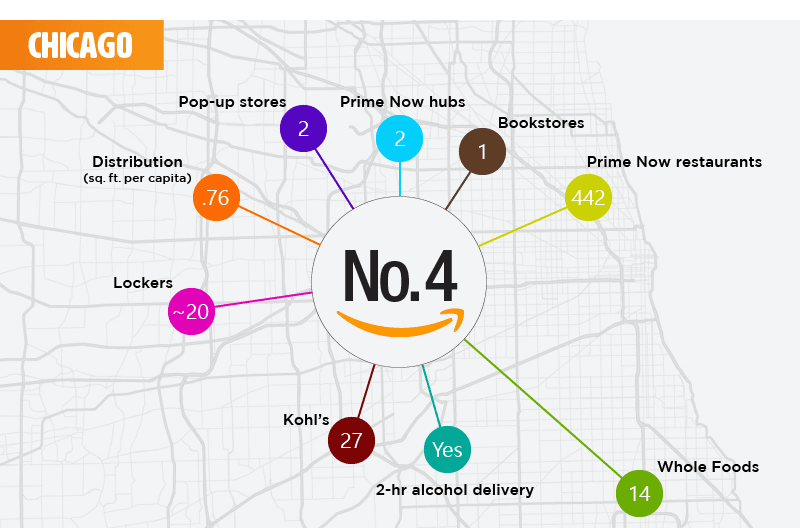 It’s Amazon’s world, we are all just living in it. 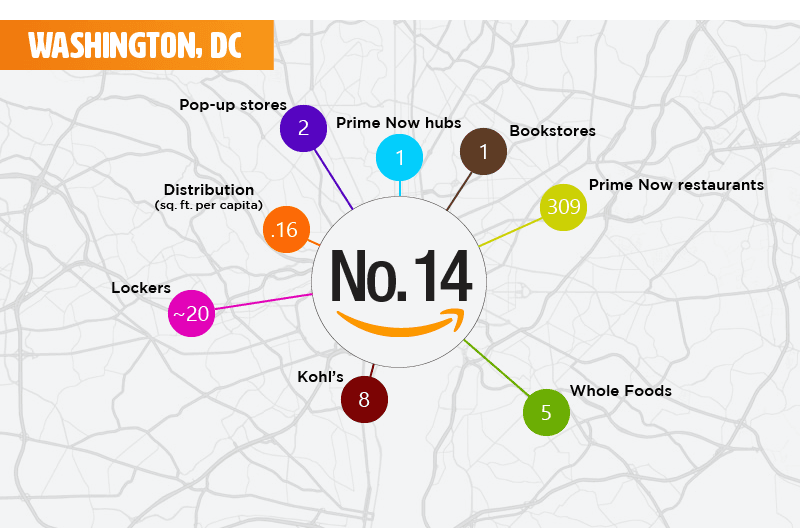 As Amazon continues its aggressive expansion and historic innovation, many U.S. cities and consumers are being treated to remarkable perks they have never before been seen. 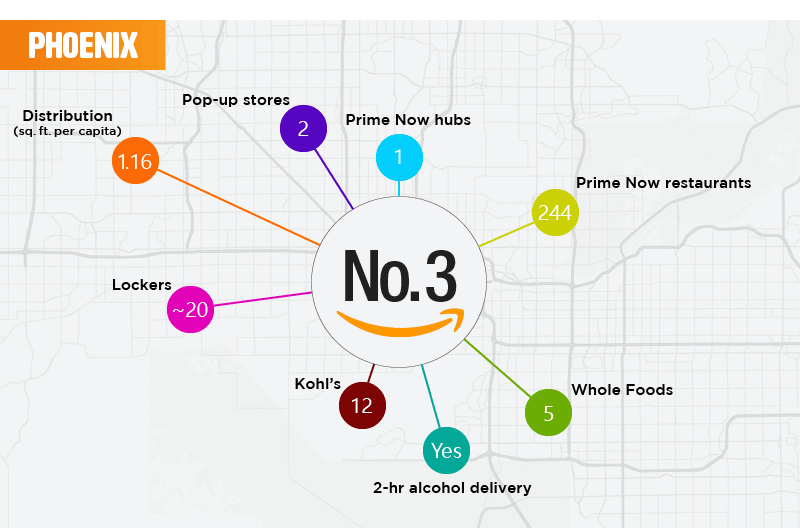 Services like free 2 hour alcohol delivery, Amazon Prime Now, self-checkout grocery stores like Amazon Go, and even more recently unlabeled, unpackaged returns to Kohl’s. Distribution (sq. 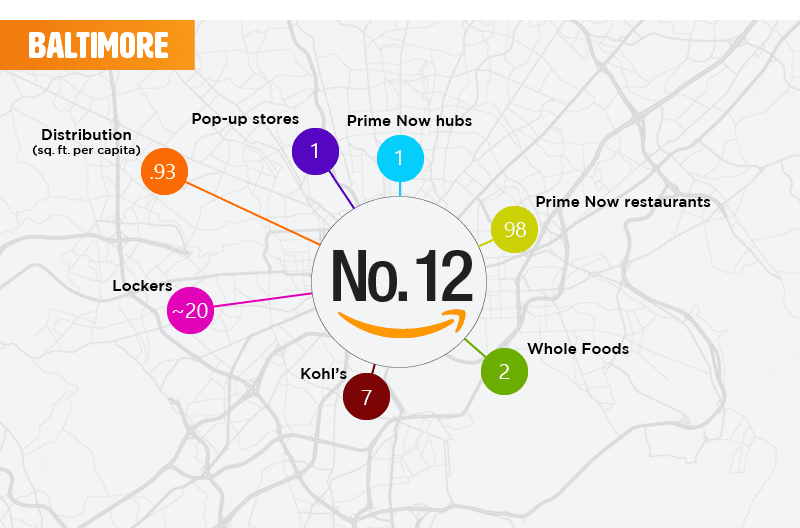 ft. per capita) - Facilities to hold loot for every man, woman, cat and dog. 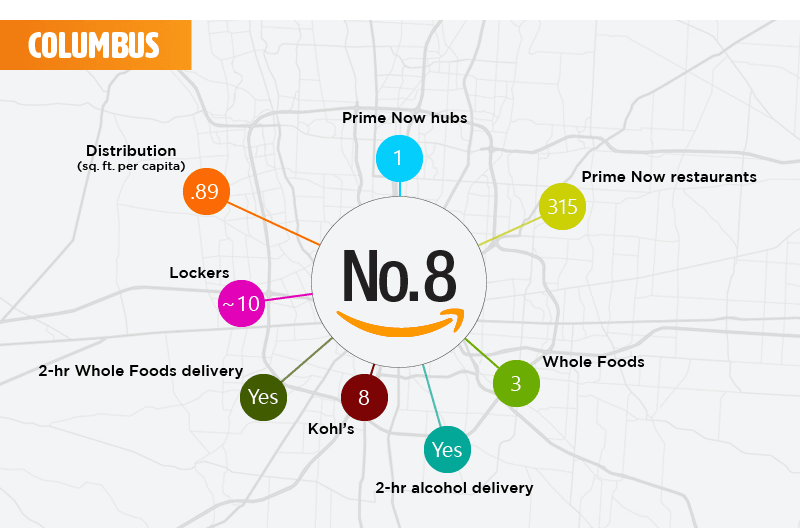 Amazon Prime Now hubs- These are small and agile Amazon facilities that handle same-day delivery for Amazon as well as one to two hour delivery services. 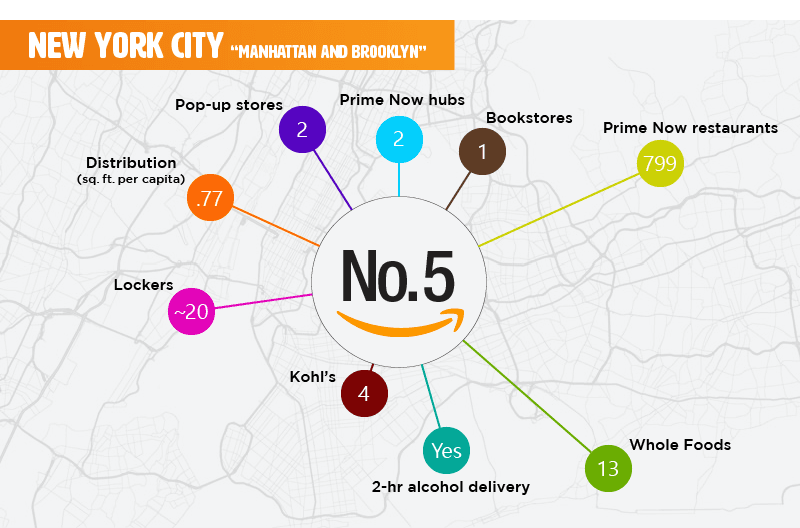 Many larger cities now have access to these hubs. 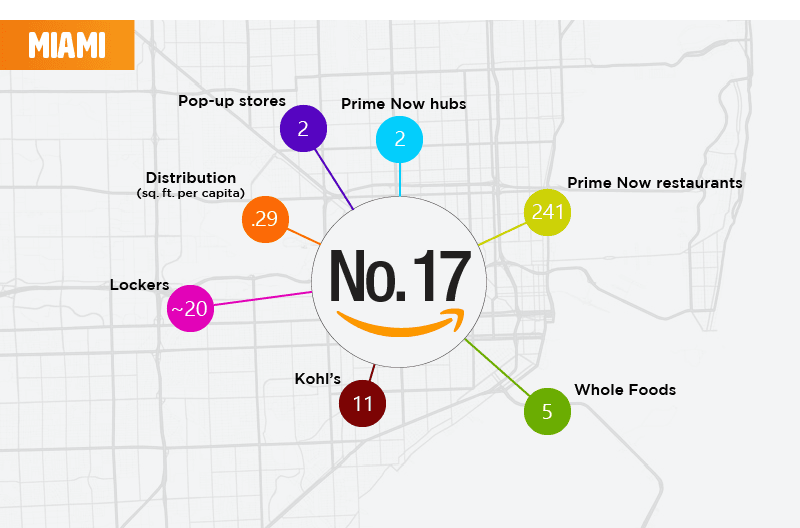 Amazon Prime Now restaurants – These are local restaurants in the Amazon Prime Now delivery network. 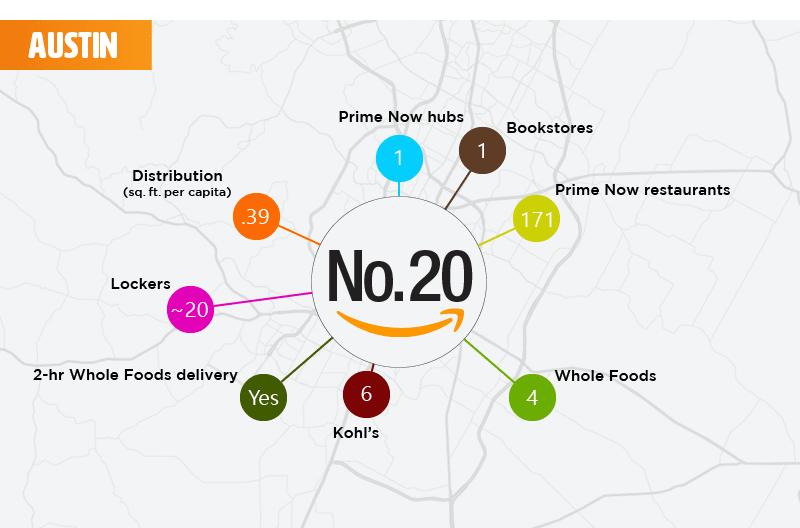 Whole Foods locations – These are the number of Whole Foods locations in each city on the list. 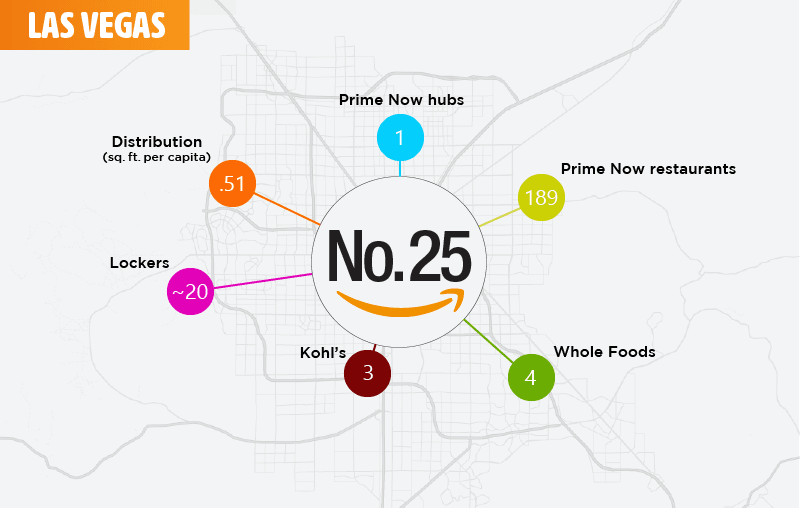 Kohl’s locations – These are the number of Kohl’s locations located in each city on the list. 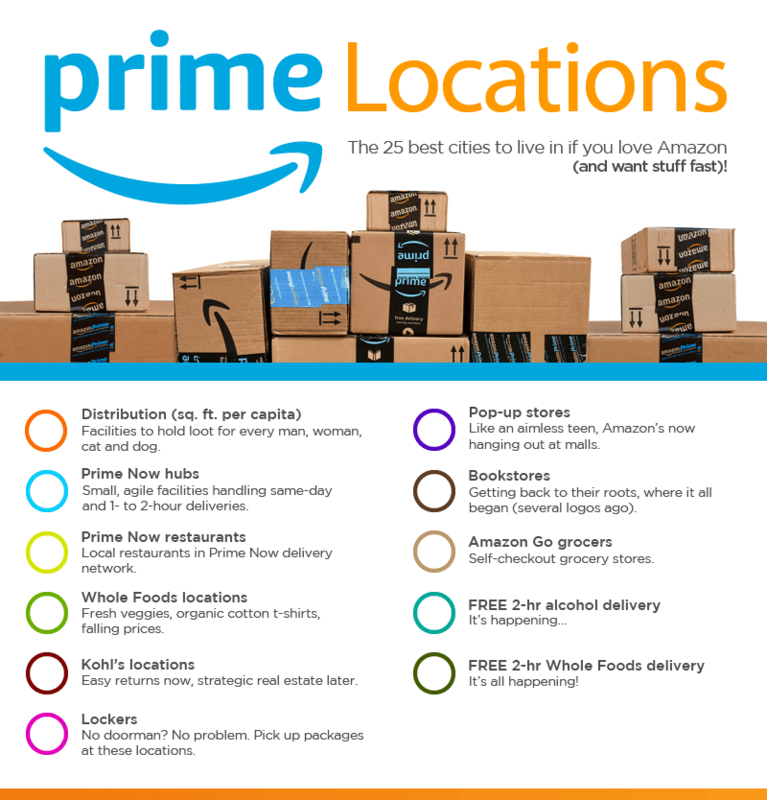 Amazon lockers – Amazon lockers allow consumers to pick up packages at these locations. 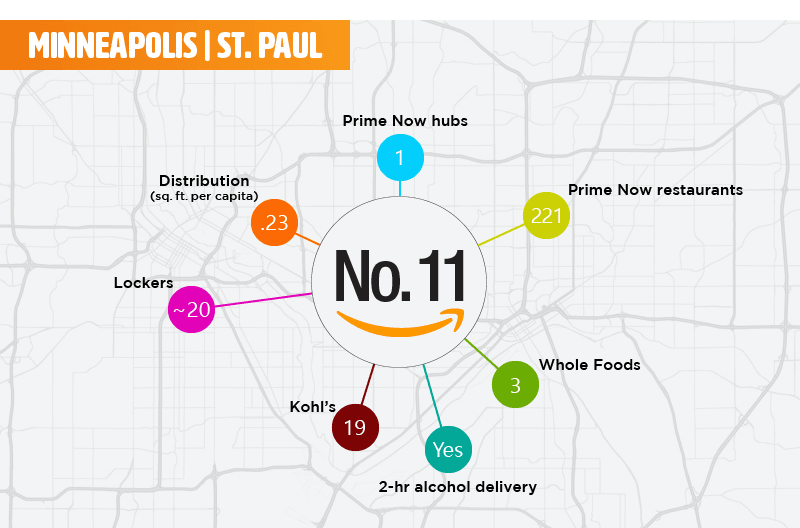 They are largely available to help combat package theft. 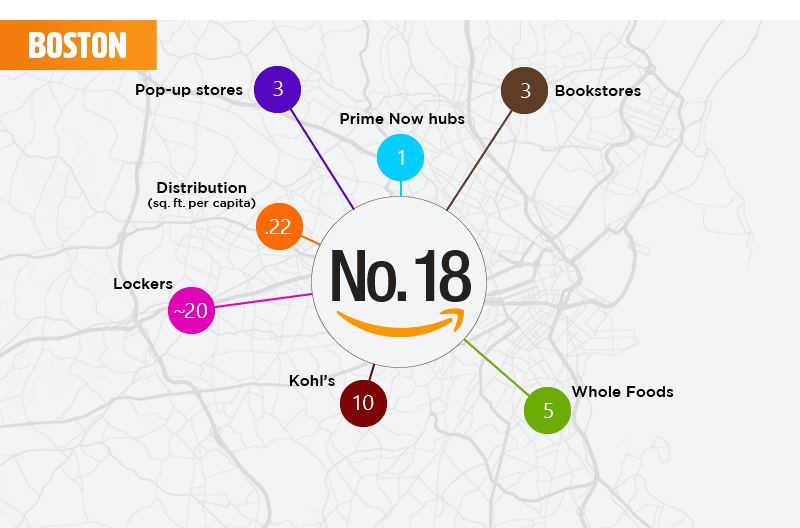 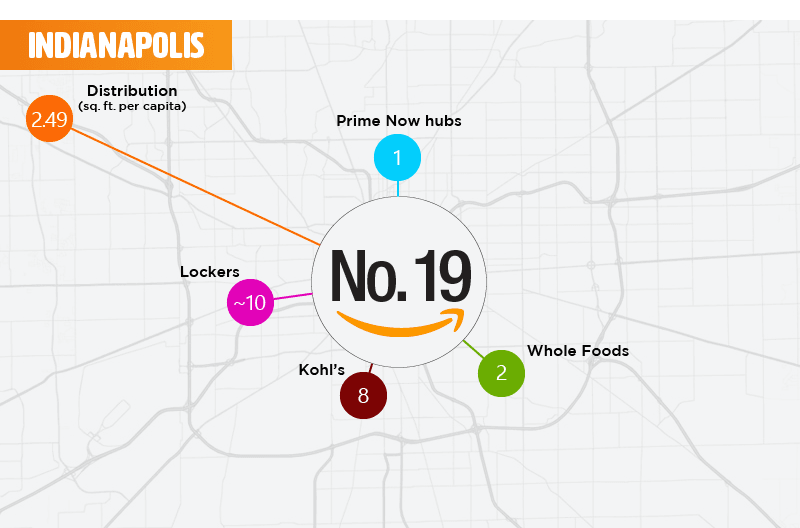 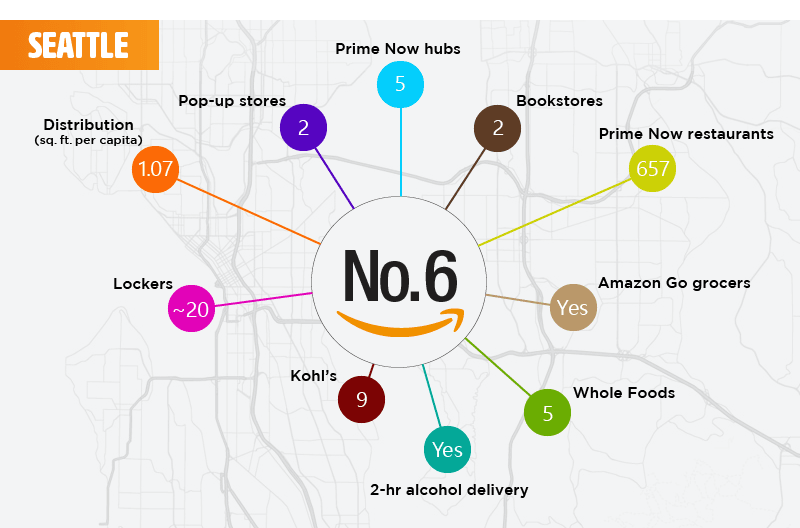 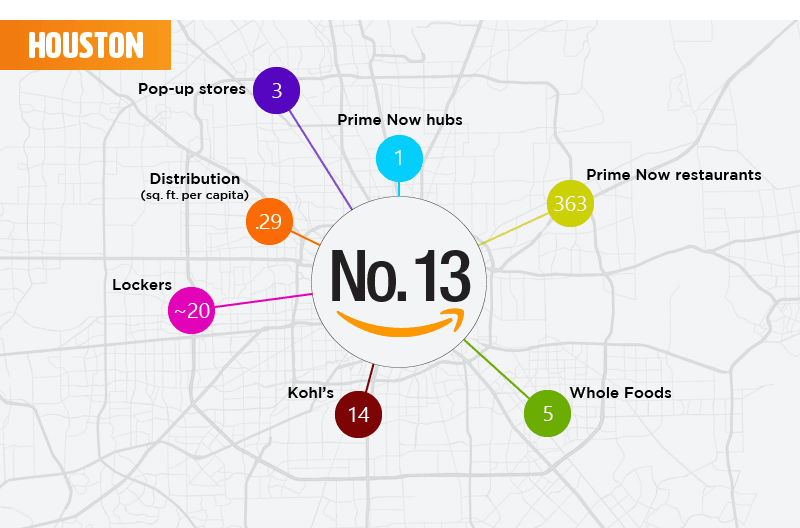 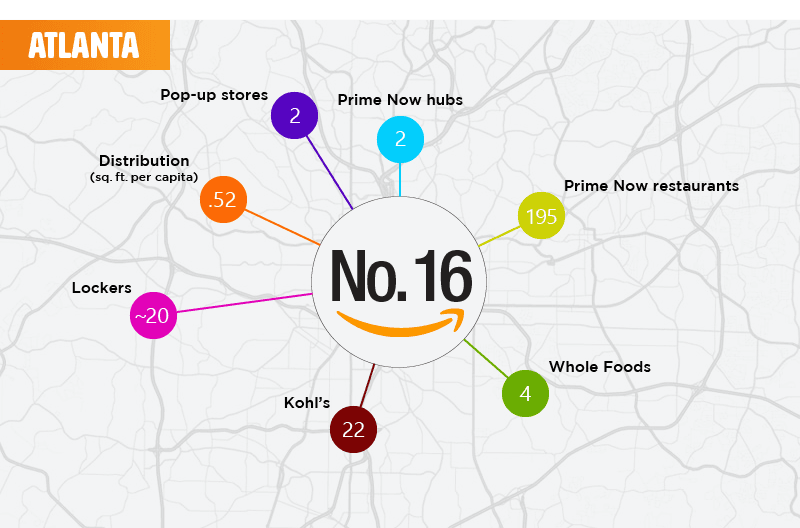 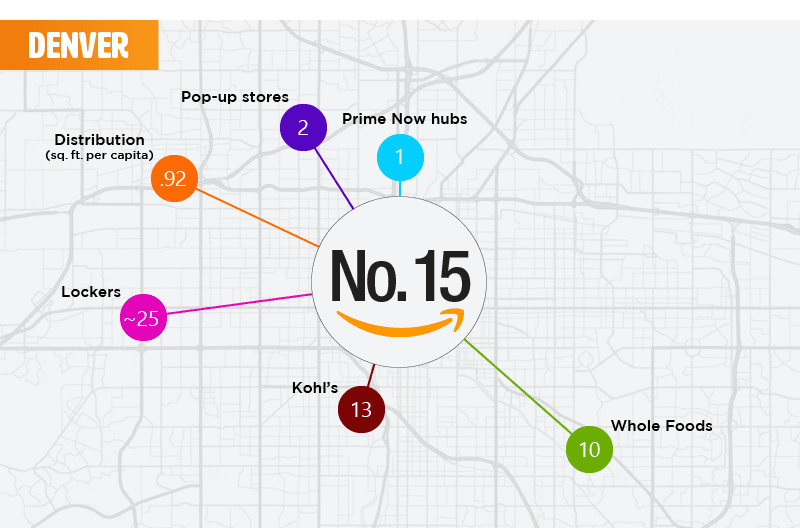 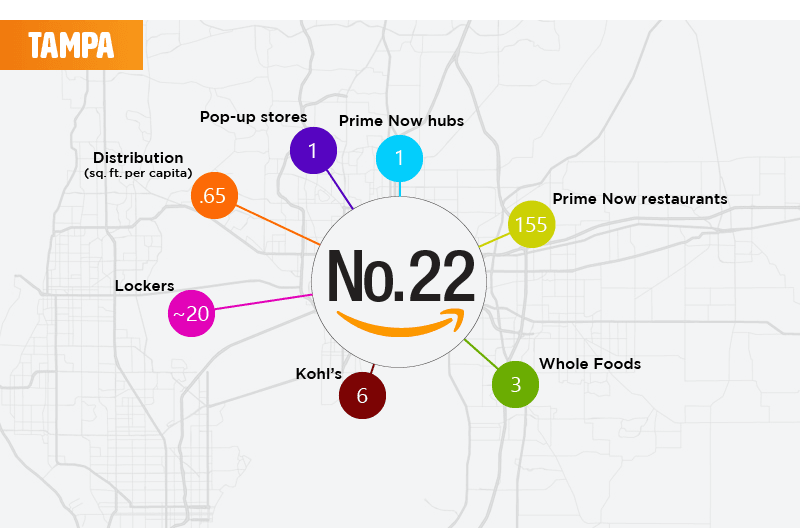 Pop-up stores – These are the number of Amazon branded pop up stores listed in each city on the list. 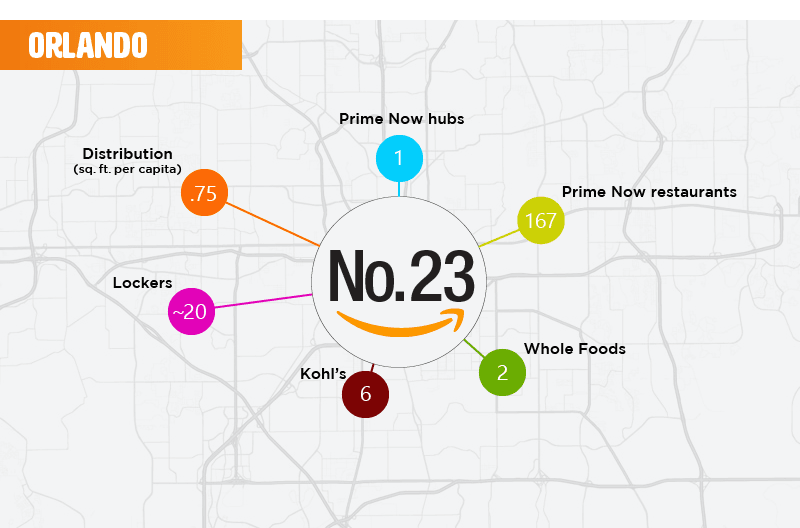 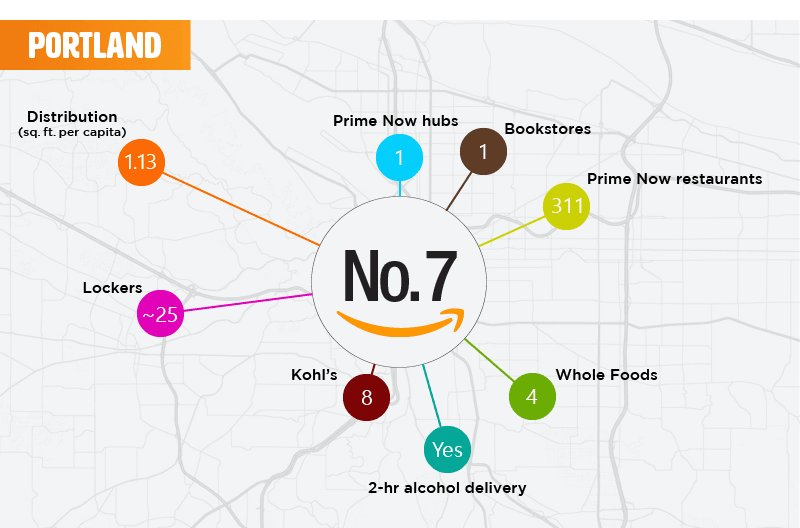 Amazon Bookstores – Getting back to their roots, this is the number of Amazon branded bookstores that exist in each city. 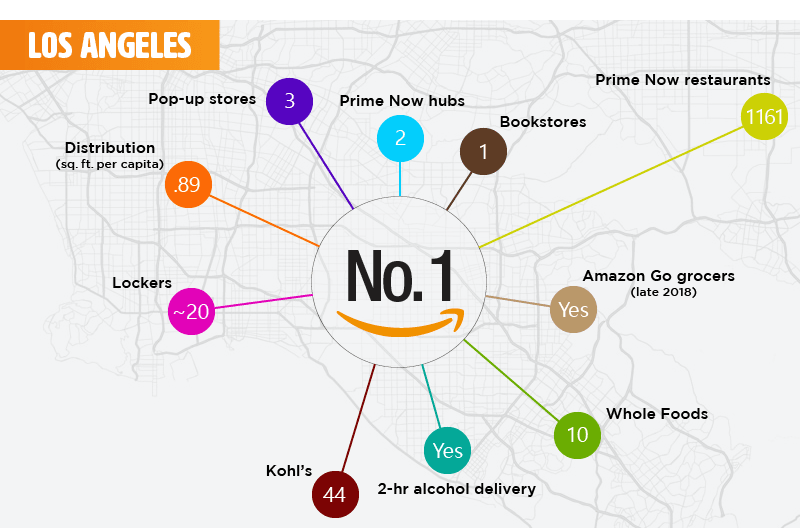 Free 2 hour alcohol delivery – This is a new service that is being launched in many major cities across the country. 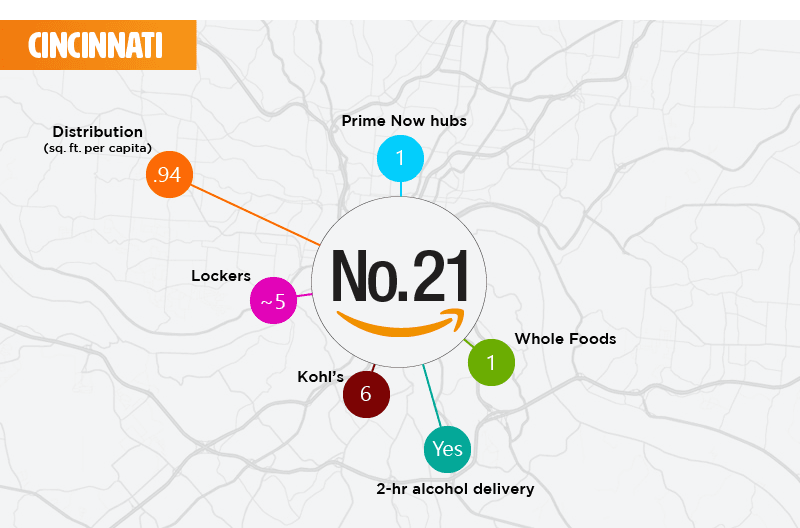 It is exactly as it sounds, you are entitled to free 2 hour alcohol delivery much like the popular 2 hour food delivery service. 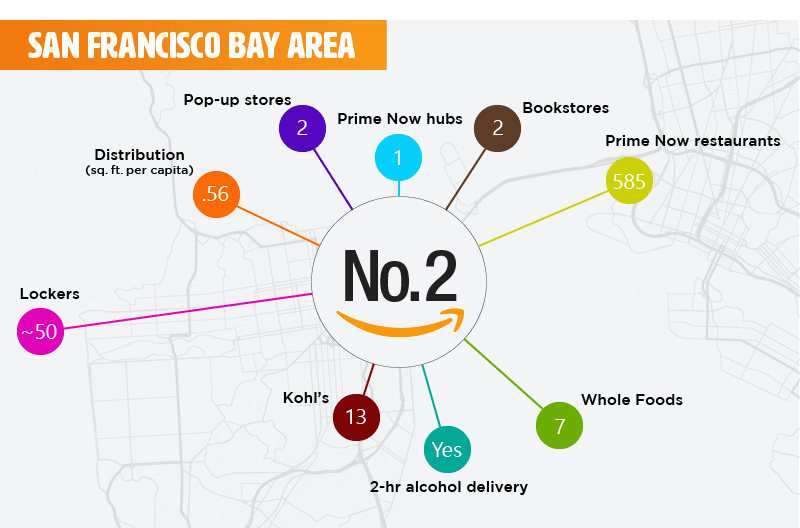 Free 2 hour Whole Foods delivery – The same as alcohol delivery but with food. 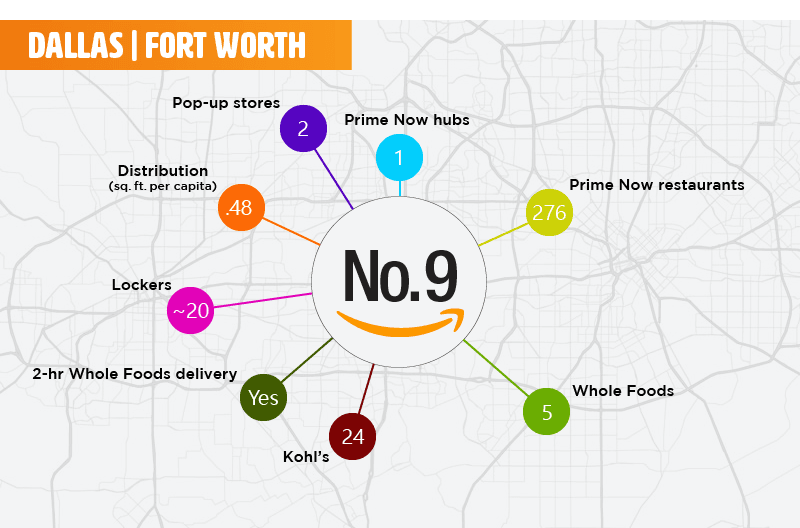 To see the full analysis from Shorr Packaging, check out the infographic below.